Easy homemade granola clusters packed with dried fruit. The perfect lunchbox snack! School is back in! That means my routine is back to normal and everyone in the house is slowly getting into their grooves. Alleluia! And that also means school lunches are needed. My kids have been Planet Box users for a while although my oldest at 13 thinks it’s way cooler to stuff a bunch of food into a ziplock bag and be done. 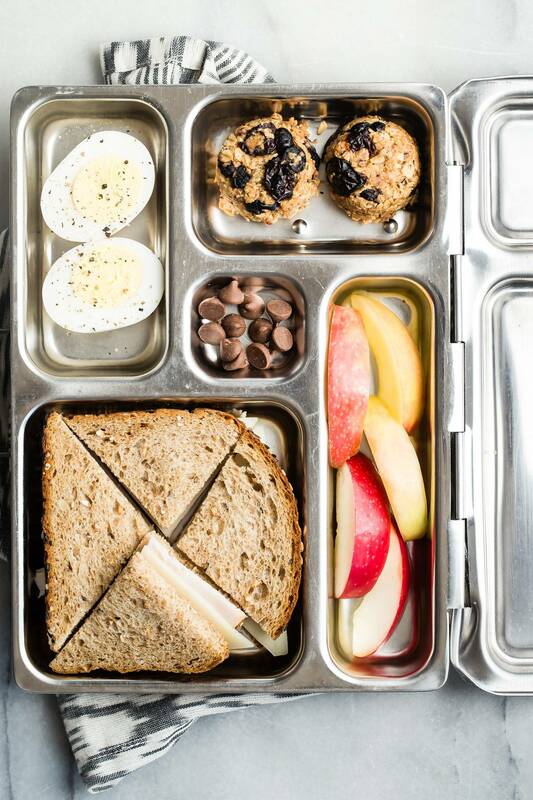 What I love about using Planet Box is that it takes some of the thought out of creating a decent school lunch. For example, I always try to have each section filled with a fruit, a protein and some kind of treat. Because treats are always needed even though they are usually always first to disappear, right? There’s no way my kid will sit his “dessert” to the side while he eats his turkey sandwich! I’m okay with that as long as the sandwich gets eaten also. These chewy homemade granola clusters are perfect for the school lunch job! 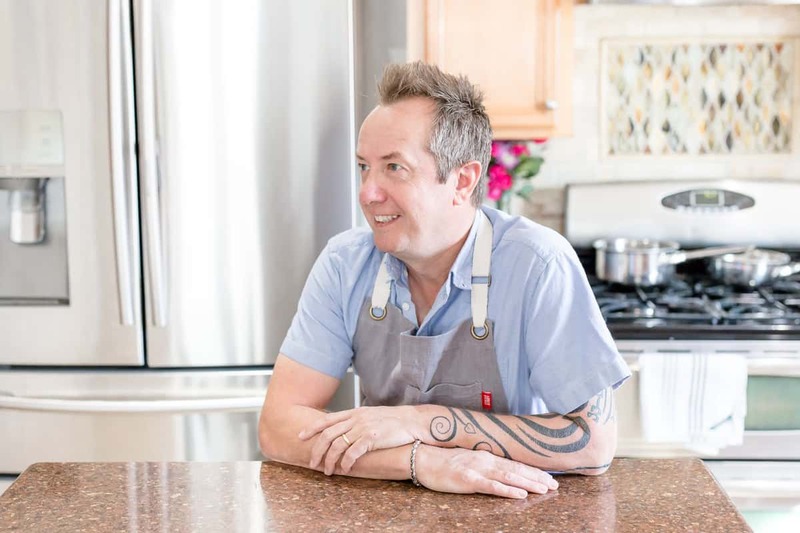 They’re even great to just have on hand in the kitchen as an after-school snack, breakfast or as a grab and go when you feel like you’re hitting that 10 am wall. It’s so easy and fun, so having the kids help will probably be a major benefit to you. 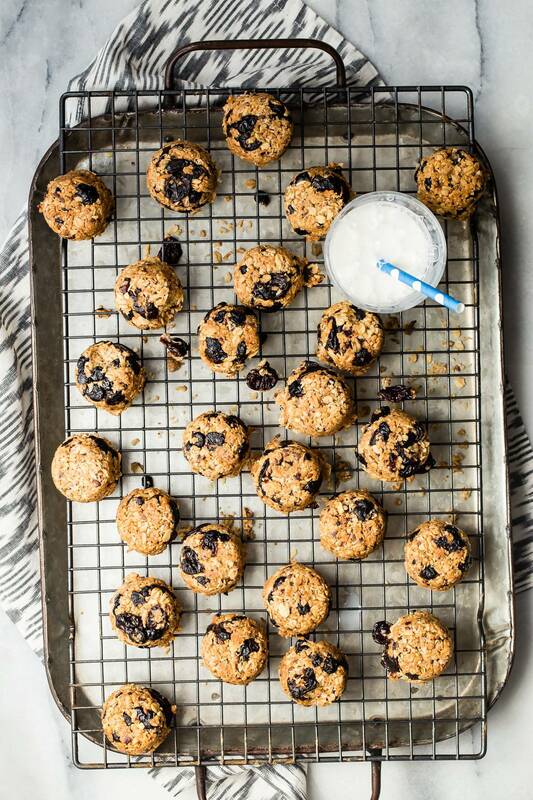 They’re packed with oats, coconut, dried fruit, maple syrup and a little butter to help bind all of those healthy ingredients together. This is also one of those recipes where you’ll need only one pot because once the butter and maple syrup has melted, you’ll have the easy task of just adding all of the other ingredients to the same pot! Do these have to be individual? No way! 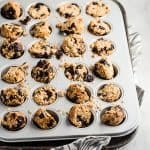 You can make these into a slab and slice them up to any size that works for you or you can follow my idea of making individual size clusters using a mini muffin pan. These work better for me and they’re perfect for our Planet Box size. Can I substitute the dried fruit choices? Absolutely! If your local store has a good bulk foods section, go to town on it. That way you don’t have to buy bags of dried fruit that might sit in your cupboard forever. You can buy scoops of whatever sounds good to you. Dried mango, apricots, golden raisins, and peaches would all work perfectly, just remember to chop everything into tiny pieces. 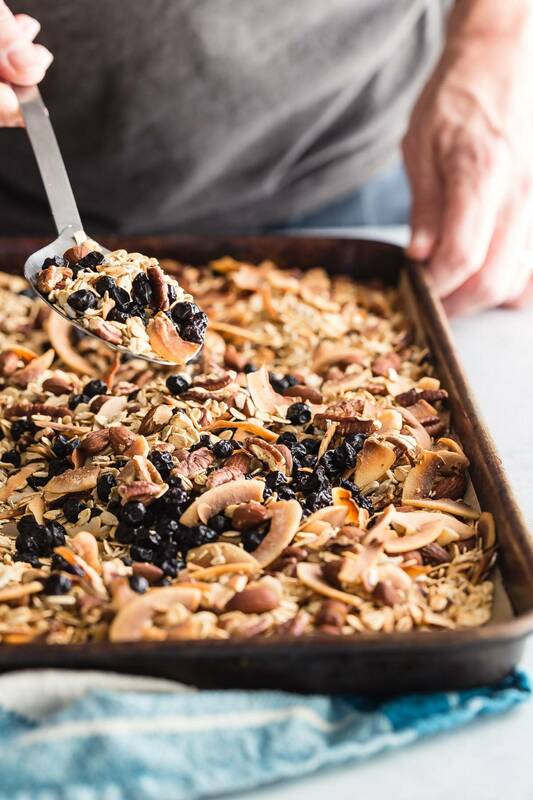 Once your homemade granola clusters have come out of the oven, let them cool and then store them at room temperature in a sealed container preferably at kid-height and watch them disappear fast! 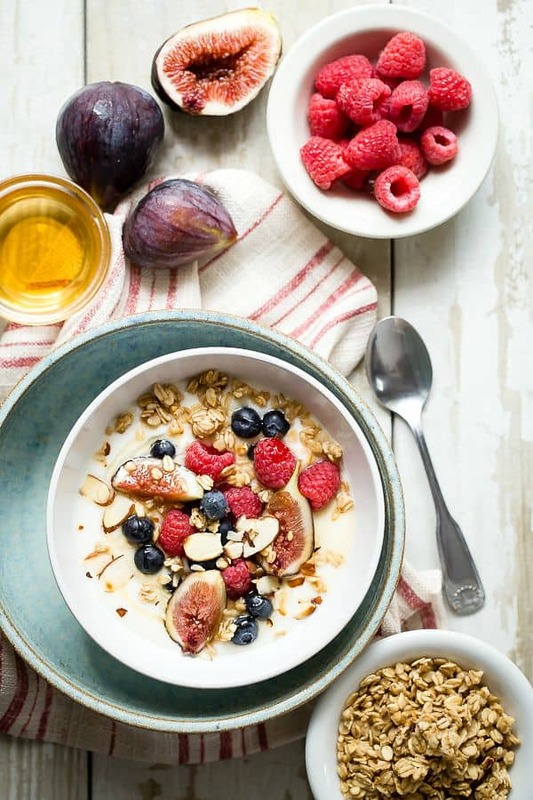 Check out these other granola recipes and let me know if you like them!! Yummy and chewy these granola clusters are perfect snacks before, during and after school!! Preheat the oven to 350 degrees and spray a mini muffin pan lightly with nonstick spray. Place the butter, brown sugar and maple syrup into a large sized pot and stir until melted. Add the rest of the ingredients and stir well until combined and the mixture will stay like a snowball when picked up and squeezed. 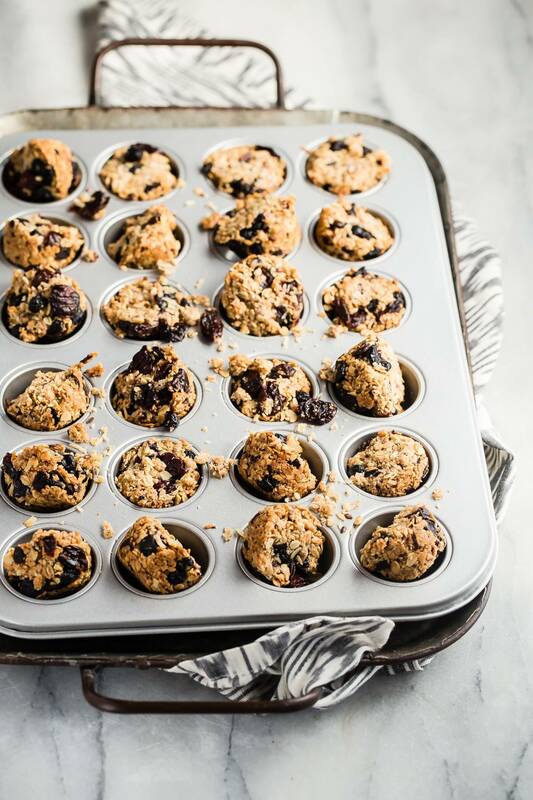 Using a scoop or your fingers press enough of the mixture into each spot in the muffin pan and lightly press down. It should be level with the top of the pan. Repeat until the pan is full and bake in the oven for about 15-17 minutes. Let cool for five minutes before carefully popping each cluster out of the holes and placing them on a cooling wire or baking tray. To make these as bars, spray a 13x9 baking pan and line with parchment paper. Adjust the baking time to 20-25 minutes. Let cool slightly and slice with a heavy sharp knife. YUM! Is it snack time yet? From your photos, do you use coconut shavings or fine shredded coconut? if you dint have plain granola on hand, can you sub in additional I cup of oats?